Its the beginning of a fresh, new week! And I have planned a new series for you guys! This entire week am going to do a brand focus post. That is, reviews of products of one brand. And that brand is going to be – yes, you guessed right! – Its Hedonista! I have quite a few products from them, some of which I ordered on Smytten and some of which I received in My Envy Box. Hedonista products are handmade and free from parabens, sulphates, silicones, artificial colorants and fragrance, palm oil, petroleum derivatives, phthalates, amines, PEGs and formaldehyde. They use only food-grade preservatives. They are cruelty-free and don’t test on animals. Their packaging are recyclable and eco-friendly. Amazing, isn’t it! 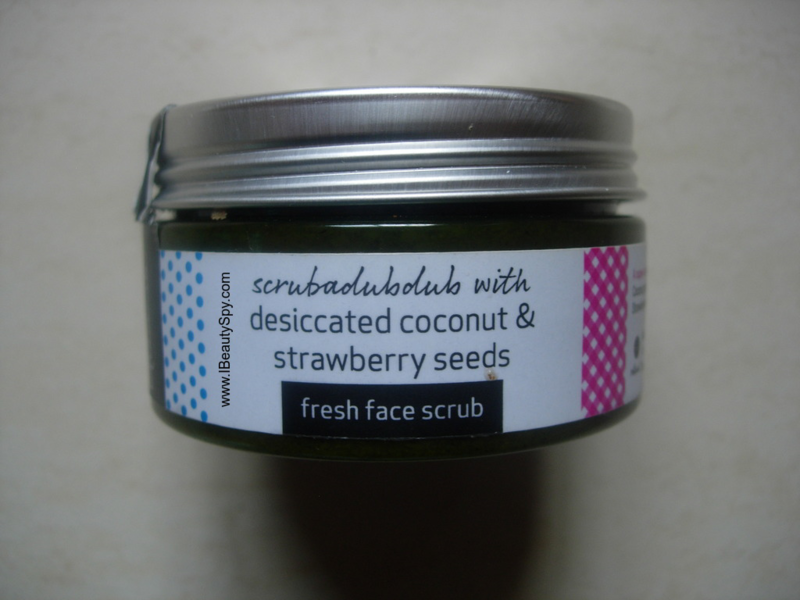 Today let’s start with the review of Hedonista Scrubadubdub Desiccated Coconut & Strawberry Seeds Fresh Face Scrub – A super-lush snack for your face. 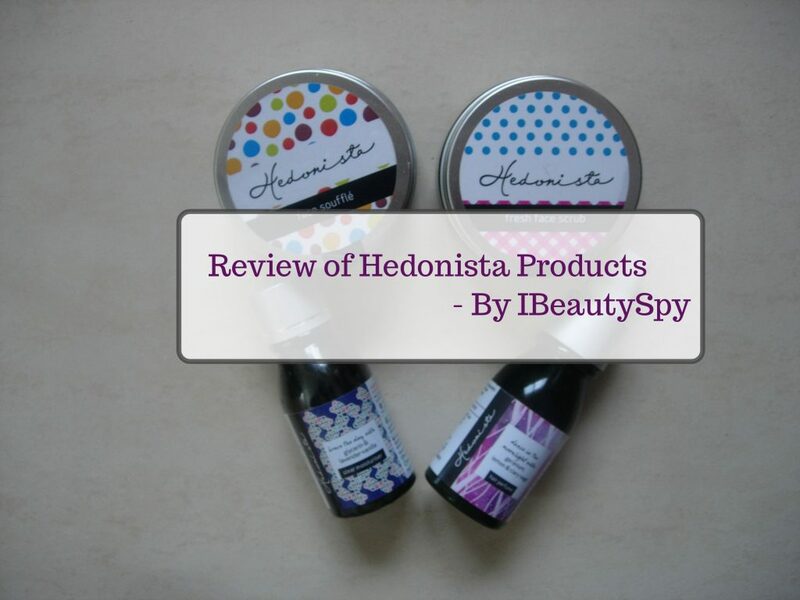 Hedonista products are inspired by your many moods: unexpected, surprising, whimsical. From getting ready for a meeting to dancing under the moonlight, Hedonista products are about finding decadent, sustainable luxury in the everyday. We’re here to make your every moment ‘me-time’, with love for yourself and the whole wide world. Take a deep breath, and surrender to the rituals. Is it luscious enough? That’s the question we ask ourselves when brewing new ingredients into Hedonista products. It’s good enough to put on my skin only if it’s good enough to eat – that’s the Hedonista belief. We say no to all the bad stuff that clogs up those pores or stops your skin from breathing and come into its own! We use only food-grade preservatives. We are against animal testing. A lush snack for your face. Sweeten me-time with this brightening, gently exfoliating fresh-coconut scrub.Handmade & all natural: High-quality ingredients for indulgent rituals. 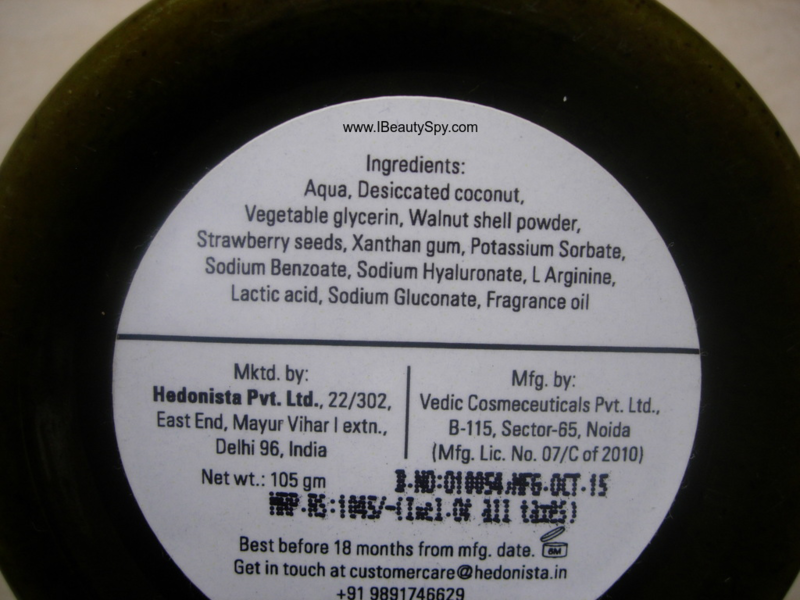 Hedonista Desiccated Coconut & Strawberry Seeds Fresh Face Scrub comes in a fun, colorful tub packaging with a tight cap. There is a seal on either side of the cap, so that you know its a fresh product. The packaging is eco-friendly and recyclable as well. The scrub particles are tiny and don’t feel abrasive at all. It will even suit sensitive skin people. I take a little amount and apply all over my face massaging gently. Then I leave it on for around 20 minutes. Why let all the goodness of strawberry and coconut go away in a minute? It doesn’t feel drying or tightening even after 20 minutes. After washing, true to its claims, my face really feels fresh, smooth and clear. I think there is also some chemical exfoliation in the scrub due to lactic acid. Which I think is really good. A scrub with both physical exfoliators and chemical exfoliators! Apart from removing dead cells and exfoliating really well, it also brightens skin a little due to the presence of strawberry. I can feel some of my tan also removed. I would say Hedonista Desiccated Coconut & Strawberry Seeds Fresh Face Scrub is a luscious recipe and a super-lush snack for your face. It feels so natural like a DIY we make at home. I read some reviews online that it did not suit oily skin types. Since it contains coconut, it leaves behind a light moisturizing effect which might not suit very oily skin. But all other skin types can try it. 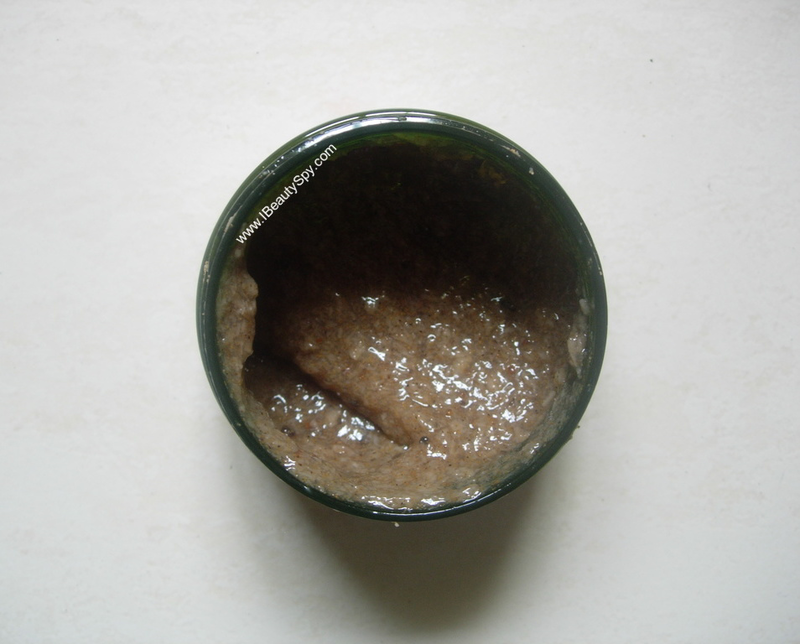 Also if you are someone who like heavy-duty scrubs, then you might not prefer this gentle scrub. * Delicious scent of coconut and strawberries. Smells like a dessert. * A perfect lush snack for your face. * Neither cream nor gel based. Water based just like how we make at home. * Super premium quality ingredients used. I could tell from the feel of it. * Removes dead cells and exfoliates skin well. * Both physical exfoliation as well as chemical exfoliation. * Makes skin smooth, clear and fresh. * Brightens skin and removes some tan. * Travel-sized versions of the product can be made available. Yes, definitely. If you wish to try some luxury gourmet beauty. Yes, not right now. Sometime later. Its expensive. But then Hedonista is a luxury brand and this is a gourmet product made with the finest of ingredients. Also one tub will last for a really long time. Around 4-5 months for sure. 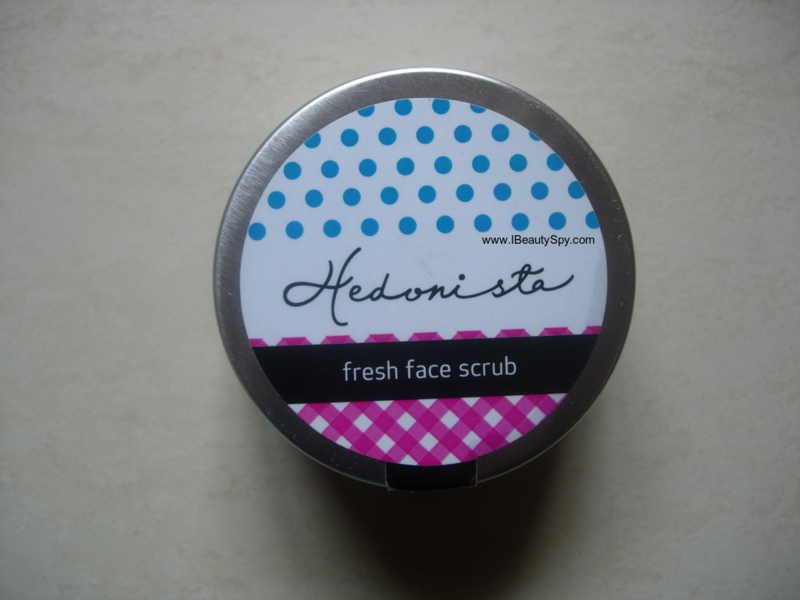 Hedonista Desiccated Coconut & Strawberry Seeds Fresh Face Scrub is a luscious gourmet recipe for your skin. I truly enjoyed using it. If you like to pamper your skin with some luxury which is also natural and chemical-free, then do give this a try. I feel it’s a hyped brand. Would love trying some PR before buying.